It's the time of year when our calendar of opportunities to enjoy our Porsches is jam packed. Thanks to your region's commiittee chairs, there are lots of events coming up so get out your calendar and highlighters and save these days. June 4 - Board meeting, 6:30 p.m, Brew City Grill, Mequon. June 7, Autocross at Maywood Park near Chicago. This is the first of three multi-region events in which Milwaukee Region members will be participating in autocross with members from the Central Wisconsin and Chicago Regions. The other dates in the three-region series are July 5, hosted by Central Wisconsin Region at the Sugar River Raceway in Brodhead, Wis., and Aug. 9 at Miller Park, hosted by Milwaukee Region. See this page for details. June 13 -- Ladies driving tour to Door County. Drive your Porsche or get the keys to his Porsche and join women from the Fox Valley and Chicago regions on a drive to Door County. Have lunch, visit some points of interest and return to your morning starting point at day's end or arrange to spend the night at one of Door County's comfortable lodges. June 13 -- Top off a morning drive with a picnic. Spend a Saturday morning in a follow-the-leader type of driving tour that concludes with a picnic lunch on the front lawn of region member David Sislowski in Caledonia. Details here. You must RSVP by June 6 so we know how much food to order. June 13 -14 -- Open house at Accumoto. Meet the team and special guests at Accumoto, one of our newest advertisers. Their ad will be on our site soon. Details of the open house here. June 27 -- All day driving tour. Lee and Jay Heppe, Tour committee, bring you another spectacular tour of Wisconsin roads. Spirited, safe driving in a follow-the-leader format. Starting point will be in Delafield. Then we will head out on i-94 to Madison and from there will be on the more interesting, less-traveled roads to the Monroe area. Say cheese! Lunch at Turner Hall in Monroe. Tour continues after lunch and concludes in Delafield. Details here. July 2 - Board meeting. Brew City Grill, Mequon. Members are always welcome. Grab a chair, order a sandwich and a beverage and listen in on the board's discussion. Your ideas and thoughts are encouraged. Meeting details. July 5 -- Autocross at the Sugar River Raceway in Brodhead, Wis. This is the second of a three-region series. Autocross events page has details. July 10 - 11 -- Millers at the Mile. Vintage Indy Cars. (not a region event) If you love historic automobiles, this is an incredible showcase. July 13 -- Driver education at Blackhawk Farms Raceway. This event is hosted by the Badger Bimmers. Milwaukee Region PCA members are invited to participate. Details on the DE events page. 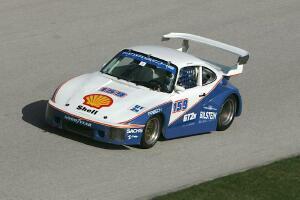 July 16 - 19 -- Kohler International Challenge, Road America. Many motorsports fans make this an annual event. Park your car at Porsche Park and enjoy racing all weekend long. Visit the RA Web site for details. 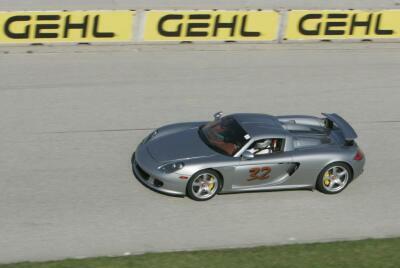 July 18 -- Drive to Elkhart Lake and take in the Road & Track concours. This is a social event that combines a short drive to Elkhart Lake, dinner at the Lake Street Cafe and then time to wander the streets and enjoy a superb concours d'elegance. Preliminiary details here. More details including starting time and starting point for the follow-the-leader drive will be announced shortly. July 18 -- Autocross at Miller Park. Visit the Autocross events page for details. July 23 - 26 -- German Fest, Milwaukee Lakefront. Display your Porsche is a special tent. Free admission, a large tent with cars roped off from spectators and 24-hour security. 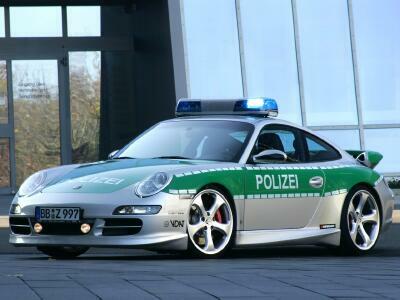 German Fest to feature a special display of Porsches -- our Porsches. Hey Milwaukee Region members, there's a wonderful opportunity to show off your Porsche to German Fest goers. Fest organizers have invited PCA-Milwaukee to bring Porsches onto the grounds where they will be in a tent, roped off from spectators. German Fest will provide 24-hour security. Cars can be displayed for one or all of the days of the four-day event. Please reply by June 15 if you will be bringing one or more Porsches for this unique event. Details here. Ok, September is a long way off but this is going to be an event like none other that we've offered in some time. A picnic at Porsche Park in conjunction with the Fox Valley Region -- and it's free. Bring a dish to pass and sign up to help with set up, cooking or clean up. Details here about our combined region picnic on Sept. 5 at Road America. 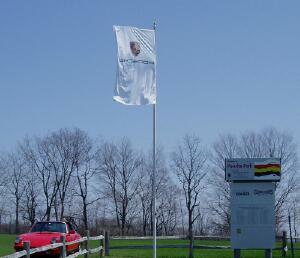 Read about the May 9 drive to Road America, a social event that combined driving and dining. Details, including a photo album, here. May 8 and 9 drivers education event at Road America had a mix of weather like only Wisconsin can deliver. Despite the changing conditions, especially on Saturday, the two-day event was a success. Congratulations to the Driver Ediucation co-chairs and committee for executing an excellent event. Photo album here. Thanks to Allen Haas and Mike Wiviott for the photos. Porsche 911 GT3 RSR's dominate the Utah Grand Prix on May 17. Read the report here. Enjoy this review of the 2009 Boxster S with PDK. Perhaps you've been a member for decades and you've never been asked to tell us the story of how you acquired your first Porsche or what you're driving now. Maybe you're a newer member and didn't have a chance to reply to the Steinlifters reporter who may have reached out and invited you to submit the details about your love of Porsches. Tell us your story. While we all love the Porsches we own, each story is interesting and unique. Send an e-mail to Steinlifters Online in care of Beverly Jurkowski, beverly.jurkowski@sbcglobal.net and tell us a little about yourself and your car or cars (if you've been fortunate enough to have owned several Porsches). Bev will massage the copy and prepare it for the next newsletter. Be sure to include a photo of yourself with your car. 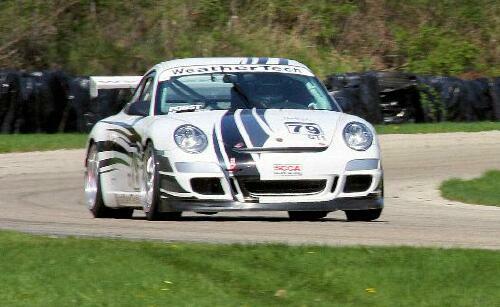 Going to Road America this season? When you're at Road America this season, be sure to park your Porsche in Porsche Park, conveniently located near Turn 1. This special parking area has been maintained by the Milwaukee Region for decades. In recent years, we've upgraded the appearances of Porsche Park, with landscaping, flags and first-class signage. Your Porsche will look great parked among other Porsches in this park-like setting. 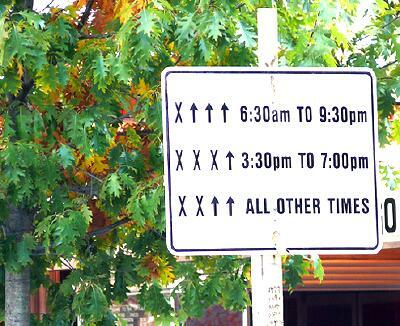 In closing, a few more wacky road signs. 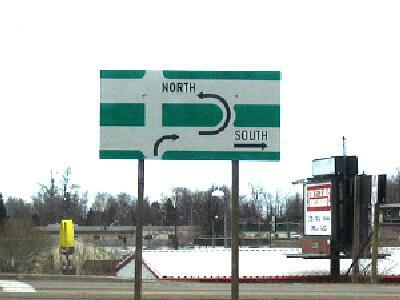 In the UP, do the right thing when you want to turn left. This is in Marquette, Mich. I'd avoid this street in the late afternoon -- maybe all the time. 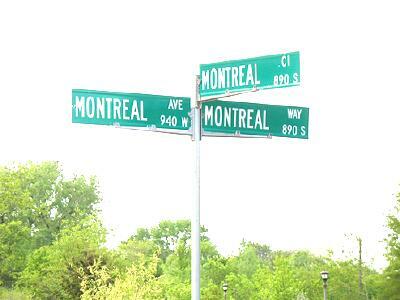 Such creativity in street naming.